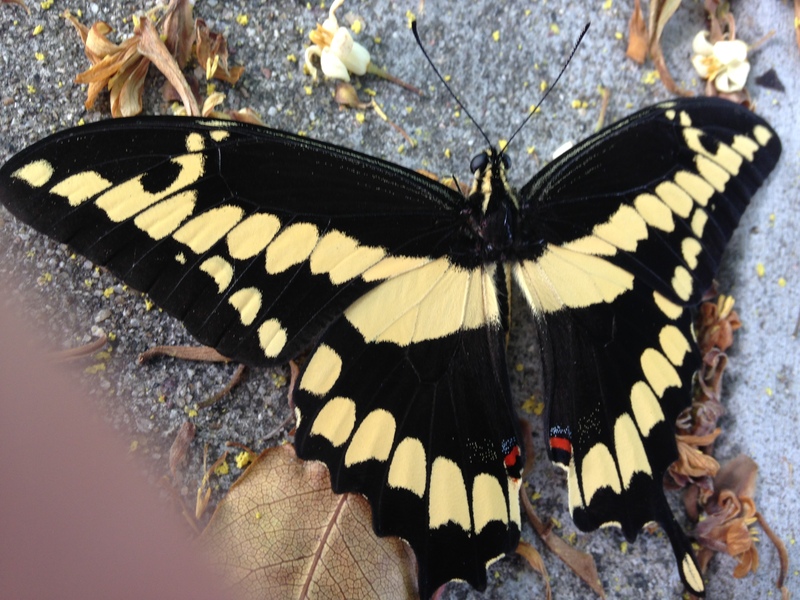 It was just laying there on the sidewalk—a big, beautiful butterfly. Papilio cresphontes; Giant Swallowtail, as we learned later. My wife was walking our dog when she saw the butterfly on the ground. It didn’t move when she bent down for a closer look, and so, thinking it was dead, she wanted to bring it home and preserve its beauty. 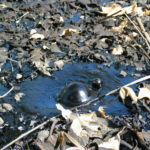 Until it hopped a few inches away. She tried again. Again, it hopped away. Obviously not dead, but was it only a matter of time? A couple more tries, a couple more hops, and then… the wings stretched out in that groggy, not-quite-awake kind of stretching we do when we’re struggling to rise too late out of a too-deep sleep. The beautiful black and yellow wings carried the Papilio a few feet more before one final burst of life lifted him into the air to do what butterflies do: grace the air with the lightness of a falling leaf, the tiptoed dance of a ballerina on the stage. Mesmerized, my wife realized what she’d been hearing in the podcast coming through her earbuds: Look at the birds (or the butterflies). They don’t plant or harvest or store away any food for tomorrow, for your heavenly Father feeds them. And aren’t you more valuable to him than they are? 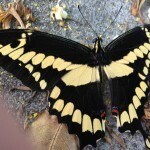 On this day, God wanted that Giant Swallowtail to fly again—and to demonstrate his love to my wife. She needed that. So did I. But something else also struck me as she shared this. That butterfly had seemed nearly dead, and it probably was. Sometimes that’s how we feel, too. Life has beaten on us for so long that we almost can’t take it anymore. Getting out of bed is exhausting. Getting the kids to school, buying groceries, making dinner… the most normal, uneventful parts of life threaten to unravel us. We’ve faced death and loss and grief and hopelessness for so long, all we can do is lay down like that butterfly. But like that butterfly, I think God wants us to fly again. It may take a few frightened hops, some groggy stretching of our wings… but I think we’ll get up in the air. And someone watching—like my wife with that butterfly—will see us and praise God. And maybe they’ll get up in the air again, too. This entry was posted in lament and tagged butterfly, faith, God, life, love on March 7, 2016 by Randy Ehle. I found myself these past two weeks reflecting more than usual on life and death. First, because my father—three months shy of his 80th birthday—was having one of those surgeries that is far more involved than the ninety minute time frame would suggest; a surgery that has become almost routine (more than a hundred performed each year in this hospital alone) but could go mortally wrong in an instant; a surgery that is merely a precursor to another, which is at the same time far more complex and far less risky. At least, that’s my non-medical perception. And here I am, gratefully positioned between a father and a son who both have taunted death time and again—my dad, until last year, on snow skis at 12,000′; my son on the rugby pitch for a couple years and now on boulders and climbing walls wherever he can find them. Facing death, I’ve found—even as but a slim possibility—is made easier when life has been fully lived. 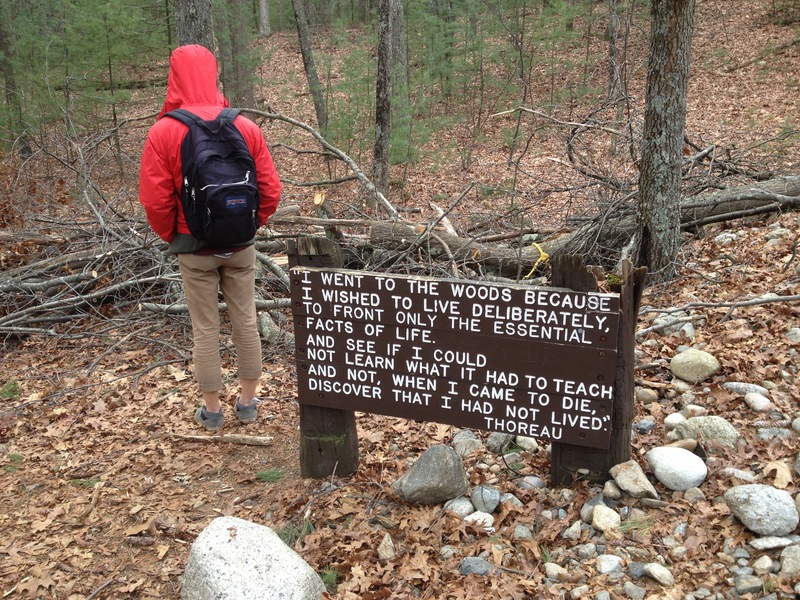 That’s what took Thoreau to his cabin on Walden Pond. It’s why it tends to be easier (though not easy) to say goodbye to an aged parent than to a child, or a young mother. And we can face death without fear when we have the confidence of our destination. Paul described it with the words, “to live is Christ, and to die is gain” (Philippians 1:21). 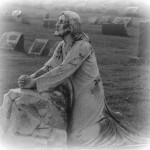 Jesus comforted Martha, “I am the resurrection and the life. Whoever believes in me, though he die, yet shall he live” (John 11:25). Are you living now? Really living? 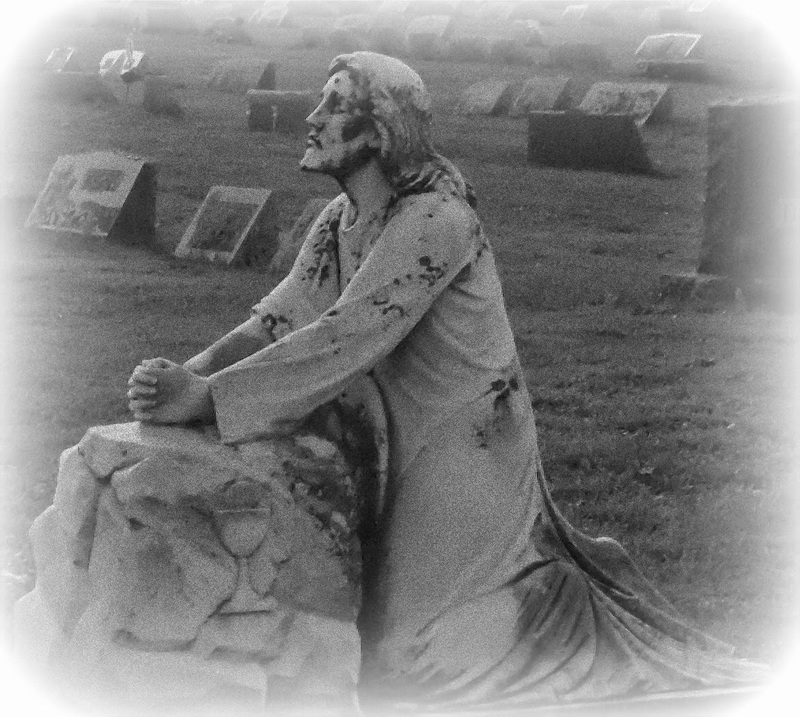 What about when you die—will you live then? Be sure of both. 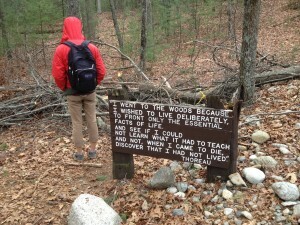 This entry was posted in faith, resurrection and tagged death, faith, life, resurrection, Thoreau, Walden on February 29, 2016 by Randy Ehle.